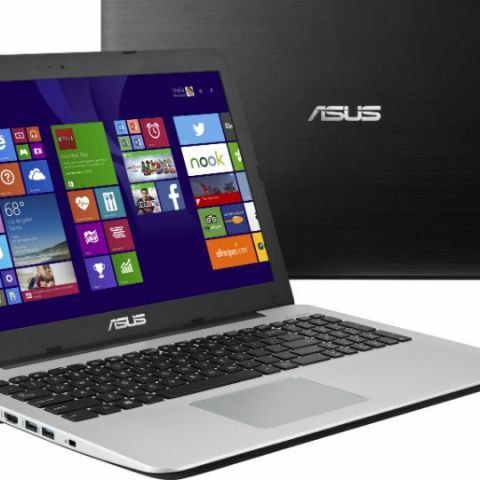 Asus looks to appeal to the Indian market with two new laptops in the budget segment. Asus has launched the LJ-XX177H and the LJ-XX132H laptops as part of its push into the budget segment. The two laptops belong to the X555 series and share 15.6 inch LED-Backlit displays with HD (1366x768) resolution. The LJ-XX177H has a 5th Generation Intel Core i3-5010U processor clocked at 2.1Ghz, and the LJ-XX132 has a 5th Generation Intel Core i5-5200U processor clocked at 2.2Ghz (with maximum Turbo frequency of 2.7GHz). Both the processors come with 3MB of cache memory. Both run the same 2GB GDDR3 NVIDIA GeForce 920M GPU, and 4GB of DDR3 RAM running at 1600MHz along with 1TB 5400rpm HDD. Both laptops are preloaded with Windows 8.1 and have WiFi connectivity, Bluetooth v4.0, three USB Ports (two USB 3.0, one USB 2.0) and a DVD Drive. Asus’ SonicMaster technology is bundled in, and the display has four modes, viz. Normal, Theater, Vivid and Custom. ASUS claims that its IceCool technology will prevent the body from heating up and these laptops will wake up from sleep within two seconds. The new Asus X555 laptops are available in a wide range of colors, and prices start from Rs. 28,999. Between these two Dell laptops (Link provided below), which one would you recommend me?